Dogs play with tremendous gusto and energy which can sometimes cause a…a…a…aaachooo, a sneeze or two. There are different theories as to why dogs sneeze while playing, but the answer may be as plain as the nose on your dog’s face. Sneezing for dogs is not very different from people sneezes. The main reason dogs (and people sneeze) is because something is irritating the inside of the nose, such as pollen from seasonal pet allergies. The body induces the sneeze to try and get rid of the irritation as quickly as possible. There’s even a part of the brain called the sneeze center which regulates all the muscles and organs needed to create the sneeze. A sneeze is actually quite complicated and certainly nothing to “sneeze at.” In fact, a sneeze can expel the irritating particles out of the nose at speeds up to 100 miles per hour. Also, just like people, when dogs sneeze their eyelid muscles always close shut so dogs don’t see how funny they look while sneezing. Luckily, we get to see the bewildered look on our dog’s face after a particularly robust sneeze. Dogs, of course, have a very strong sense of smell. Scientists, interviewed in a PBS article, estimate that dogs sense of smell to be 10,000 to 100,000 times more sensitive than a humans. This can lead to their cute noses being particularly sensitive to irritants and must be protected at all times. There are a lot of different reasons why dogs sneeze when they are playing or excited. One reason is that dogs tend to curl their lips when playing or having fun. This causes the dog to wrinkle their highly sensitive nose, which can cause a tickle that the body interprets as a signal to sneeze. When a dog sneezes, it’s usually a sign that the dog is healthy, and the body is doing its job. Another reason that dogs sneeze while playing is to communicate to other dogs. When dogs are playing together, they are constantly communicating. One way to confirm that they are simply playing is by sneezing, along with exhibiting various dog facial expressions and special body language. Dogs sometimes also use the sneeze as a “calming signal” to other dogs. Dogs use over 30 different calming signals to communicate that they need to take a break or slow things down. Some dog owners claim that they have been able to train their dogs to sneeze. 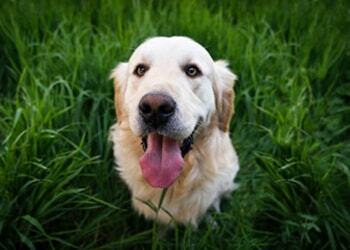 There is some research that shows dogs can “fake” sneezes to communicate a desire to play or to seek attention.